If we light up the traces in the dark, will we see their invisible ubiquity? Of what whole will we see? 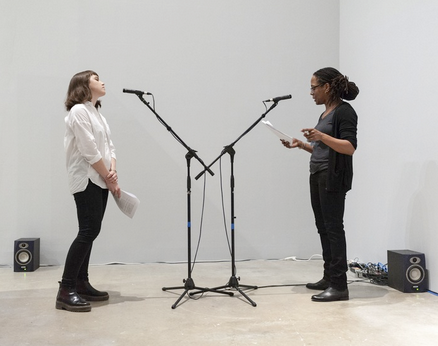 Curator Liz Park posed these questions to artists Deanna Bowen, Harold Mendez, and Gregory Sholette as prompts to think through the ways in which we engage with the margins of recorded history. Traces in the Dark is the result of the speculative conversation that took place between the curator and artists. In Deanna Bowen’s ongoing investigation of the Ku Klux Klan, also known as the Invisible Empire, she digs deep into the history of Pennsylvania’s Klan activities from the nineteenth-century fugitive slave uprising in Christiana, Pennsylvania, to the 1964 race riot in Philadelphia, and presents her findings through photography, collage, and performance; in dialogue with his past work, Harold Mendez creates new mixed-media pieces inspired by images sourced from archives in Antioquia, Colombia, which hark back to the country’s violent pasts, including the decade-long civil war now known as La Violencia (1948–58); and Gregory Sholette restages his ongoing Imaginary Archive (produced in collaboration with Olga Kopenkina and more than 70 participants),“a collection of documents about the past whose future never arrived.” Collectively, these projects question what we can and cannot see of the radical and tumultuous pasts from where we stand today. Traces in the Dark resists today’s emphasis on hyper-visibility which propagates the illusion of everything being seeable, available, accessible, and thus consumable. Each artist instead focuses on a past that is not easy to comprehend, visualize, and digest. Traces in the Dark, 2015, installation view, Institute of Contemporary Art, University of Pennsylvania. Photo: Aaron Igler/Greenhouse Media. 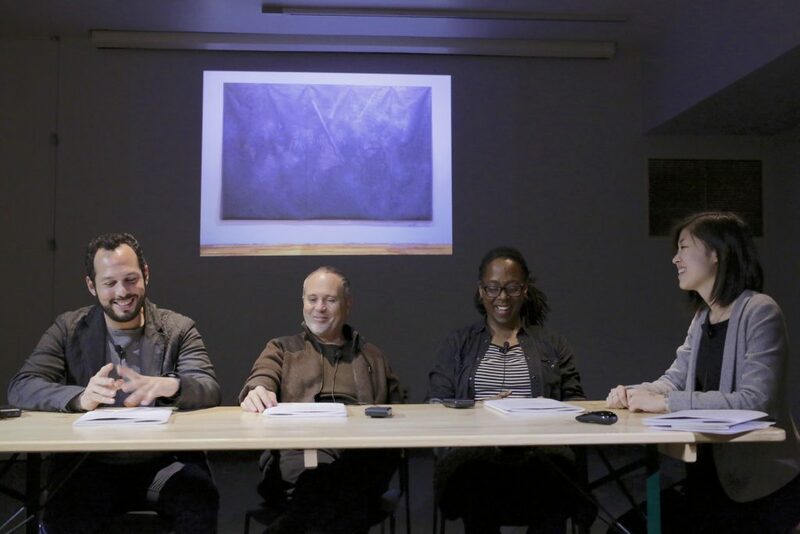 Performance in Traces in the DarkOpening and Walkthrough: Winter 2015Traces in the Dark: Conversation with Deanna Bowen, Harold Mendez, and Gregory SholetteThe Klansmen, the Journalist, and the Artist: Screening and Conversation with Deanna Bowen at UnionDocs, BrooklynCoffee and Conversation: Sound in Space, Sound from SpaceSeason Preview: Winter exhibitions open Wednesday, February 4Preorder Barbara Kasten: Stages and Traces in the Dark exhibition catalogues now! 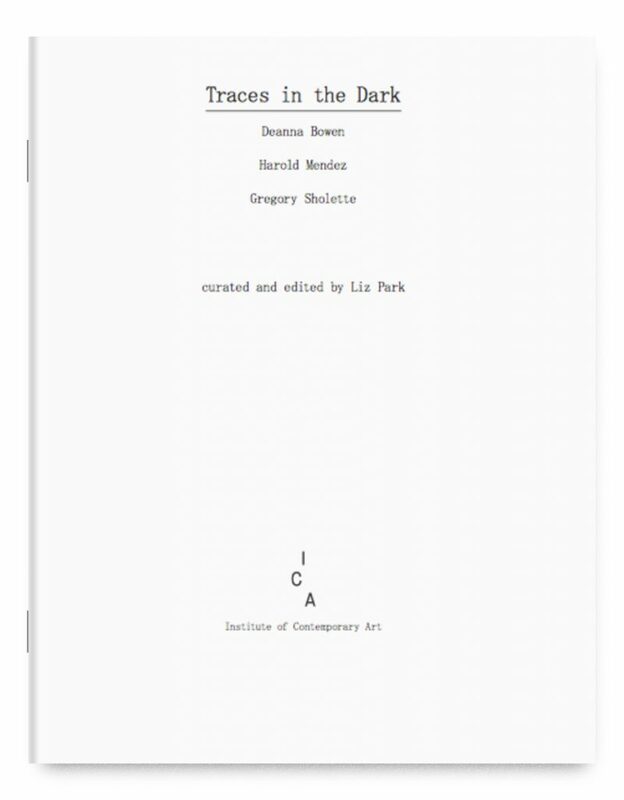 Conceptualized and produced as an analogue of the exhibition of the same title, Traces in the Dark is a collection of essays and artist folios that nest inside each other. The artist folios are: Imaginary Archive by Gregory Sholette and Olga Kopenkina; “Hunting the Nigs” in Philadelphia: or an alternative chronology of events leading up to and one year beyond the Columbia Avenue Uprisings, August 28-30, 1964. by Deanna Bowen; and We were the mist, the smoke curtain, that hid everything by Harold Mendez. 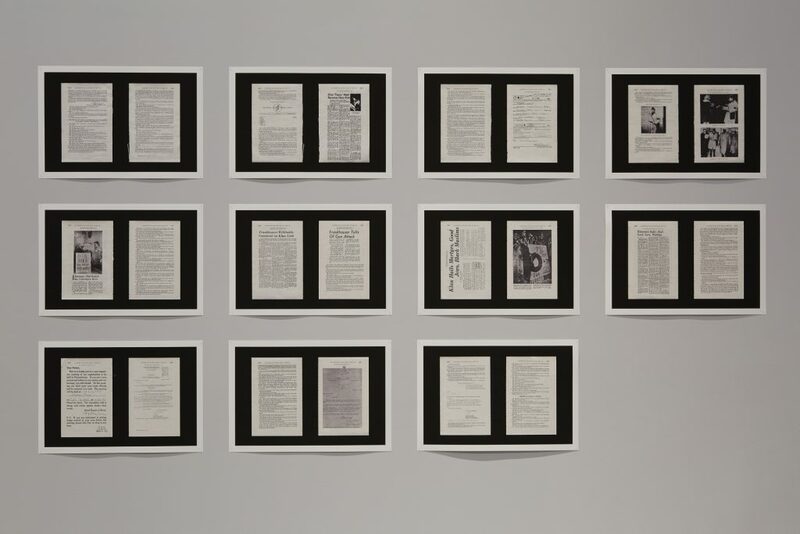 A curatorial essay by Liz Park and a new text by Sholette, “Heart of Darkness: 1956, 2015, 2065,” contextualize the artist folios. ICA is always Free for All. Free admission is courtesy of Amanda and Glenn Fuhrman. ICA acknowledges the generous sponsorship of Barbara B. & Theodore R. Aronson for exhibition catalogues. Programming at ICA has been made possible in part by the Emily and Jerry Spiegel Fund to Support Contemporary Culture and Visual Arts and the Lise Spiegel Wilks and Jeffrey Wilks Family Foundation, and by Hilarie L. & Mitchell Morgan. Marketing is supported by Pamela Toub Berkman & David J. Berkman and by Lisa A. and Steven A. Tananbaum. 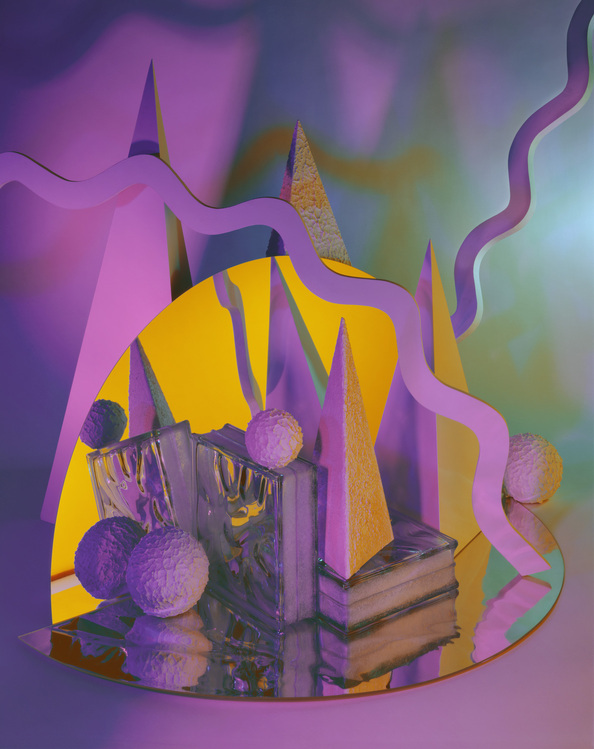 Additional funding has been provided by the Horace W. Goldsmith Foundation, the Dietrich Foundation, the Overseers Board for the Institute of Contemporary Art, friends and members of ICA, and the University of Pennsylvania. General operating support provided, in part, by the Philadelphia Cultural Fund. ICA receives state arts funding support through a grant from the Pennsylvania Council on the Arts, a state agency funded by the Commonwealth of Pennsylvania and the National Endowment for the Arts, a federal agency. 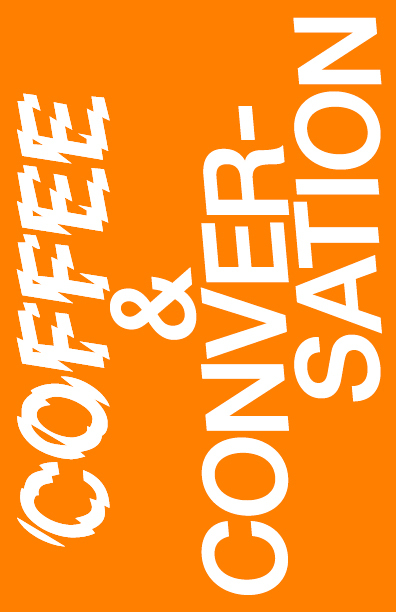 ICA thanks La Colombe for providing complimentary coffee at public events. ICA acknowledges Le Méridien Philadelphia as our official Unlock ArtTM partner hotel.